Visit the Cathedral and the Royal Chapel with a private guide as it will be a totally different experience. Our trained tourism professionals will describe every detail and tell anecdotes related to their construction, while you admire the wonders on the inside. Cicerone Customer Center -Shop. Calle San Jerónimo 10. No departures on October 12th 2019 and January 2nd 2020 and those days the Cathedral and Royal Chapel would decide not to open for reasons beyond our control. The most important monuments of the city of Granada, after the Alhambra, will show you its greatest splendour in two authentic architectural and cultural jewels. It’s also very special to have the chance to visit to a place of significant historic importance, where the remains of the Catholic Monarchs and Queen Joanna “the Crazy” and her husband Philip “the Handsome” rest. 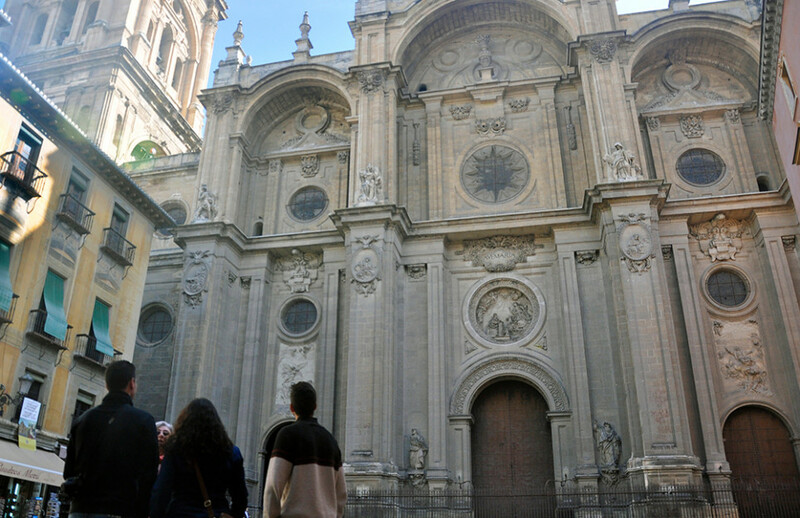 When on this guided tour, you’ll find yourself beneath the imposing façade of Granada Cathedral, a colossal Renaissance structure, you’ll lose all sense of time. You’ll be taken back centuries and our professional guides will go through its history through to the present day. Once inside, you’ll understand the keys to its symbols and its location while marvelling at the artistic elements found in even the smallest details.